Notice that the description on the left insinuates that this wall hanging is "cute." Seems to me that "freaky" would be more apt. 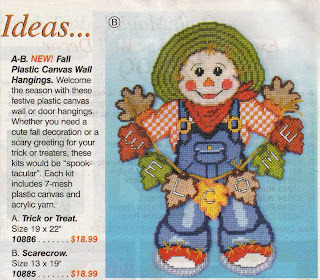 And what's even more disturbing is the fact that the scarecrow--if that's what this thing actually is--has a bad case of happy hands.